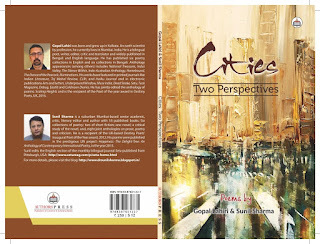 A joint poetry collection titled ‘Cities: Two Perspectives’ by Gopal Lahiri and Sunil Sharma is recently published from Authorspress, New Delhi. The theme of the book is City and its surrounds and here it is almost entirely about Mumbai. We know that cities can overwhelm and reject in one breath but there is no escape for the dwellers. In the Foreword, U Atreya Sarma, the eminent poet and editor remarked ‘It is an equal partnership where Gopal Lahiri and Sunil Sharma have contributed thirty poems each. Though the title claims to present ‘Two Perspectives’ there is a converging unity and synergy for the two poets are evidently linked by a kindred emotional cord. One corroborates the other’. Gopal Lahiri feels ‘behind commerce and consumerism, dust and concrete, there lies another city, hidden and blessed, shrouded in mystery and magic. The surroundings offer its flowers and trees, clouds and sunrays, history and heritage, that have no voice except the ones you give them in your imagination’ While Sunil Sharma’s Nano confession is, ‘These are poetic responses to a megapolis. To a place, people and spaces. While familiarity dulls the perceptions in a regular guy, the same set of factors---physical, mental, psychological, emotional---can trigger something deep down in a mind restless and create fresh imagery to the old infrastructure.’ The result is a burst of creativity and the poetic duo captures the essence and flavor of the Mumbai city with earnest which can make all the difference. In modern complex world all the citizen need healing and this book will give that by striking a luminous chord with every reader.A joint poetry collection titled ‘Cities: Two Perspectives’ by Gopal Lahiri and Sunil Sharma is recently published from Authorspress, New Delhi. 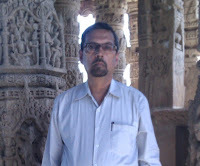 The theme of the book is City and its surrounds and here it is almost entirely about Mumbai. We know that cities can overwhelm and reject in one breath but there is no escape for the dwellers. In the Foreword, U Atreya Sarma, the eminent poet and editor remarked ‘It is an equal partnership where Gopal Lahiri and Sunil Sharma have contributed thirty poems each. 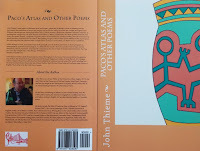 Though the title claims to present ‘Two Perspectives’ there is a converging unity and synergy for the two poets are evidently linked by a kindred emotional cord. One corroborates the other’. The result is a burst of creativity and the poetic duo captures the essence and flavor of the Mumbai city with earnest which can make all the difference. In modern complex world all the citizen need healing and this book will give that by striking a luminous chord with every reader.